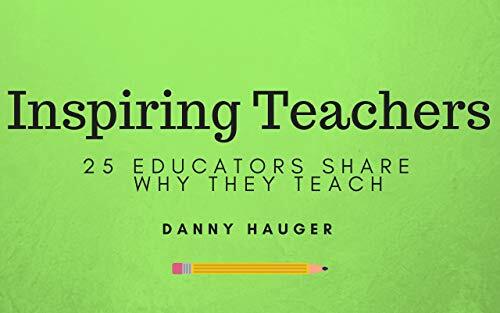 Tavis Beem and Danny Hauger discuss the “why” of teaching. Through interviews, empowering stories, current events, and teachable moments, Beem and Hauger bring inspiring stories from the classroom to the podcast. Tavis and Danny host the first-ever group panel episode of Inspiring Teachers. It is a superhero team of teachers discussing highlights of the week in the classroom, and the positive potential of Social Media for teachers. Becky Simon talks about the joys of first grade, being able to have big conversations, and checking in with each student. Danny Hauger talks about respecting people’s opinions on all sides of issues, and listening to understand the positions of others. Are you looking for new and engaging ways to get your students up and moving in the classroom? Get out of the Sit and Get rut of teaching by checking out AmpedUpLearning.com, a 2 teacher owned and operated company in Texas that is looking to gamify teaching with creative new activities for the classroom. From their FRECK! resources and Escape Rooms for Social Studies and Science to SPEED Squares and task cards for Math and English they have TONS of teacher created resources...and don't forget to check out their apparel designed specifically for teachers. Use code HAUGERHISTORY10 to save 10% on all items and follow them on social media @AmpedUpLearning for their monthly giveaways of Amazon gift cards, lessons and apparel. Sponsored by AmpedUpLearning.com use HaugerHistory10 as your promo code to save 10% off everything! Thanks to Podbean for this educational bandwidth. Check back for new episodes weekly. Subscribe to our Podcast on iTunes. 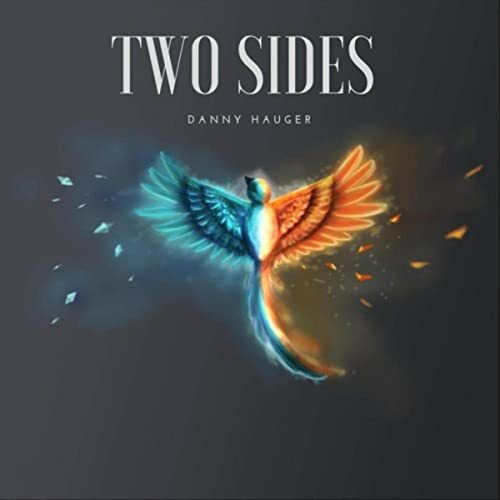 Also support Danny Hauger Music Podcast! Like, share, and subscribe to Inspiring Teachers! Food is already magical, but a teacher who inspires all of the ingredients for an excellent classroom? That’s inspiring! Tisha Richmond is a tech integration specialist and an interesting individual. We talk about unleashing creativity in the classroom, and making learning magical for students. Tisha is one of the transformative teachers who is finding new ways to make learning more engaging for her students. The great part about talking to Tisha is the feeling of joy and passion she has for education. I also like the realistic way she approaches her lesson planning. She does not just mail in each class, she thinks about how students can improve their educational practices with her construction of thoughtful plans. I enjoyed reading John Spencer’s Blog and Twitter Feed @SpencerIdeas, because of his profile summary, that on a good day we get to both make things, and make a difference. Professor Spencer is out to do great, creative, things. As a college professor, and former middle school teacher, John is trying to maximize the classroom experience. John wants to make something everyday. I (@DannyHauger) need to feel that same sense of daily production. In our conversation, John discusses his motivation, inspiration, and purpose in material creation and education. Read more about what John is doing at SpencerAuthor.com and in this interview! Thanks to Podbean for this educational bandwidth. Karen joins us from Queensland Australia to talk about her 20+ years in elementary education. We discuss her passion, motivation, recovery from disillusionment and burnout, and re-commitment towards excellence in education. She discusses some of her favorite parts of 4th grade teaching, having a student-centered classroom, and how to find motivating teachers around the world to inspire you. Dr. and Rabbi Henry Schreibman, Danny’s former freshman Professor at Dominican University of California, drops in to continue Danny’s education. We discuss the importance of ethical boundaries, student-teacher relationships, challenging students to confront the consequences of their learning, and a conversation about how humor can be appropriate even when it is in the face of the failure to learn from history, and sparking a commitment to being aware of our consequences from our own learning. Dr. Schreibman discusses how he leads a class to challenge their own ideas, complete quality research, and continue to evolve the centuries old discussions on the big questions of life. Thank you Podbean for being a great host for this educational bandwidth program. Mellisa Aiello-Beem joins Tavis and Danny in studio to talk about her 8 years as a Kindergarten teacher in California’s east Bay. from reward charts to the fun moments of daily class, this is an open dialogue about caring for students and continually reaching out to build classroom community and development. Mellisa talks about growth in confidence and how she developed as a teacher. The three discuss current discussions in teaching, reaching out to students with extra learning needs, and making direct and honest communications in the classroom. Follow us on Instagram @InspiringTeacherShow and support the Hauger History Store on Teachers Pay teachers. Thank you Podbean for donating this educational bandwidth, start your own podcast today with Podbean.com! Matthew Dicks talks storytelling, humor, and creating a caring classroom. Comedian, author, and speaking extent Matthew Dicks drops in to talk about the central keys to a great speech, why he loves teaching elementary school, and how a sense of humor is essential to fun in the classroom and in life. What stories could you tell to enhance your teaching? What stories could you learn about before your next lesson to drive the conclusion home, or generate more interest in your classroom? Try taking 5 minutes to discover one story in the next week to enhance the people around you. Storytelling is the oldest form of transferring history, let’s keep it alive! Jonathan Spike is pushing teaching to the next level with gaming, technology, and problem solving. Follow Jonathan on Twitter https://twitter.com/Mr_JSpike and keep track of his updates and resource suggestions. From UW Whitewater, Jonathan creates problems to solve, and discusses the importance of educational content and skill building in games. Having standards is a significant difference between fun, and educational content. Danny and Tavis sit down in studio (watch this episode in 4K on YouTube) to discuss the importance of reading, how to read effectively, perception vs reality, kindness, and making positive comments to parents. We discuss the latest events and projects in our woodworking and Social Studies classes. We catch up on our planning and Danny’s Master’s of Arts in Teaching Vlog, and how diversity can make a meaningful and deep impact in the climate of our classrooms. We also spotlight 3 Twitter comments featuring Tips and Tricks from successful educators including Mike Mohammad, Tamara Letter [Passion for Kindness], Ryan Sheehy, and Colby Sharp.